If there is one technology that has been spreading like wildfire throughout the globe, it is the Internet of Things concept. A large number of appliances are already being utilized in connection with the Internet and its related scenarios. Thus, such a wide network of applications working on IoT has given rise to the IoT connected machines market. And contrary to earlier beliefs, this market is there to stay, and is expected to mushroom rampantly in the near future. There are several kinds of IoT connected devices used all over the globe such as GPS units, smart cameras, motion detecting cameras, wearables like smart watches and fitness trackers, smart locks, and many more. Apart from these, even vehicles, industrial machinery, entertainment appliances, and domestic appliances are being operated on IoT. With every passing year, extensive development is anticipated to occur in all these areas, thereby strengthening the market’s position around the globe. The devices are connected to an IoT hub or a server, which can collect data from the former. Such hubs or servers basically are mobile apps, application on computers, and other similar programs, designed to collect the data. Apart from this, the hub can also be used to enable exchange of data between two or more IoT devices, thus giving rise to a smooth and highly sophisticated experience. The hubs and servers can also analyze the data received, thereby ensuring that the performance is improved with each receiving cycle. One of the prime advantages of using IoT connected devices involves creating enhanced machine-to-machine communication (M2M). This promises existence of innovative and disruptive business models that will open up new growth opportunities for companies and individuals alike. They say that the Internet of Things itself is only an intermediate stage; in the future, data, people, machines and processes could all be linked through another virtual conceptualization called the Internet of Everything. The global IoT connected machines market is envisaged to be advantaged by the growing applications of intelligent broader embedded systems engaged for enabling effective communication and marketing of businesses using connected devices. IoT connected machines find a major application in real-time data tracking which could strengthen process optimization through flexibility, scalability, adaptability, traceability, and transparency. Industry players are prognosticated to cash in on the ability of IoT connected machines to promote real-time response and control over complicated automated processes. The demand for IoT connected machines is anticipated to be propelled by the prominent factor of manufacturers increasingly focusing on their supply chain network to be equipped with close convergence for making end-to-end visibility and collaboration a reality. The market could experience a high positive impact due to the emergence of big data as connectivity between machines sees an incredible increase in demand. This is predicted to take shape on the back of real-time data communication presenting itself as the need of the hour. Furthermore, a greater emphasis is laid on secured backend and production floor operations. ABB and HPE have recently announced their partnership at the global level for offering industry-based clients with powerful solutions generating actionable insights from the continually rising, expansive amounts of data produced by businesses. The goal of this strategic partnership is said to improve the flexibility and efficiency of their business operations and give them a competitive edge over their challengers. Currently, ABB claims to accommodate an installed base of 70 million connected devices. As per the analysis of the report, the international IoT connected machines market could see a classification into South America, North America, the Middle East and Africa, Europe, and Asia Pacific. According to experienced researchers, North America could secure a leading position in the market because of the growing prominence of IoT and rising application of connected devices. The growth of the regional market could be supported by the early adoption of latest technologies and aggressive digitalization practiced in several industry verticals. Commercial users in Asia Pacific, on the other hand, are foretold to surge the demand for IoT connected machines while adopting leading-edge technologies owing to strong initiatives introduced to improve IT infrastructure. 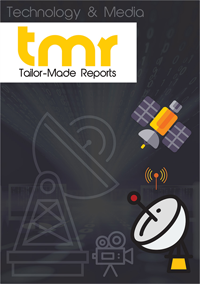 The worldwide IoT connected machines market is projected to witness the presence of leading players such as Dell Inc., AT&T Inc., General Electric Company, Cisco Systems, Inc., and Robert Bosch GmbH. Market players could take to the adoption of common business strategies, viz. acquisitions, new product launches, and cutting-edge developments, to push up their growth in the market. Most of these players are involved in providing novel IoT solutions, services, and platforms to commercial clients across the globe.